What is Parent & Guest Orientation? Parent & Guest Orientation is a chance for parents, guardians and mentors to learn what Sonoma State University has to offer them, and their students, while they are enrolled. You will begin the day by listening to the welcomes with your students and hearing about the first year experiences that you can anticipate for your family. Students and accompanying guest have their own orientation leaders! You will join your Summer Orientation Leader to move to various locations on campus to hear directly from your students' academic school. But although you and your students are in the same place, you're with your own Orientation Leaders to experience you SSU and ask your own questions! This will be the last time you and your student will have a common schedule. Guests, guardians, mentors, and parents have different needs and questions, so we make sure that everyone is accommodated by having two different, but concurrent programs! What is covered at Parent & Guest Orientation? 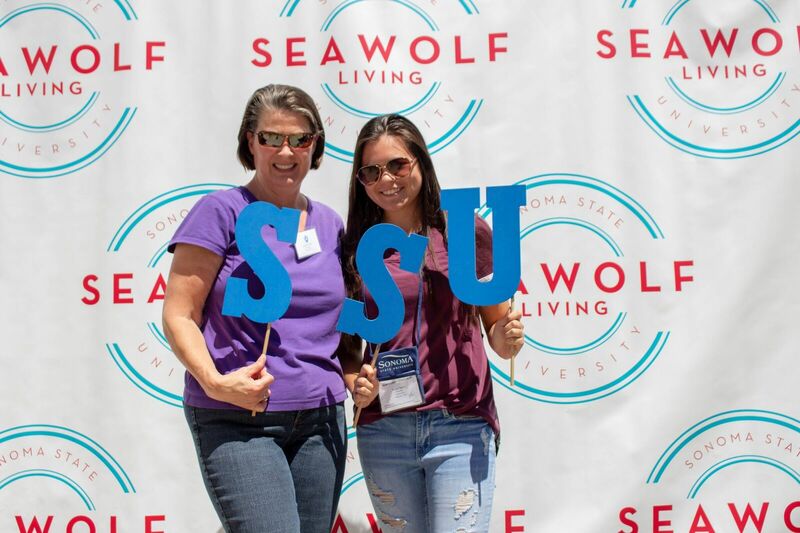 You will hear about academic requirements and standards, learn how to "do business" while having a student at SSU by learning about Seawolf Services, hear about campus safety and health resources and begin to experience the same things your student will get to take advantage of all year. The day will end with a lovely wine and cheese reception to welcome to you to campus and give you the chance to meet and mingle with other parents as well as ask any lingering questions from faculty and staff. Students are required to stay for the full Orientation session in order to fulfill the mandatory Orientation requirement.